Most people have never seen Biamp products, but they’ve probably heard them work wonders—in airports, arenas, courtrooms, houses of worship, theaters, universities, corporations, and conference centers. The Biamp difference begins with the way they make their products. From initial DSP design to software development, from materials management to manufacturing, from in-depth testing to quality assurance, Biamp owns and manages the entire process. 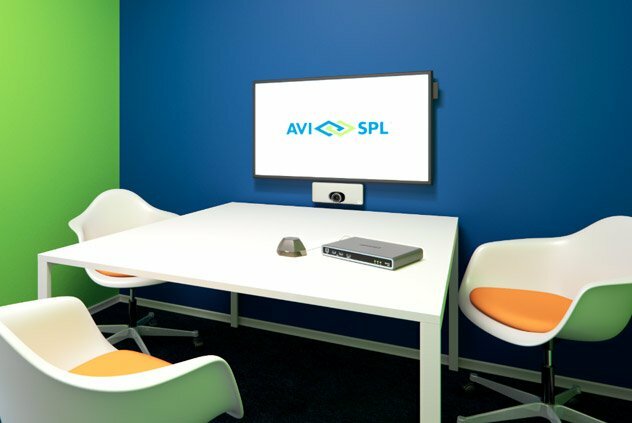 As the world’s largest and most trusted AV integrator, AVI-SPL partners with innovative communication technology manufacturers—like Biamp—to give you access to the most advanced, secure, and effective AV and collaboration solutions. Biamp Tesira audio digital signal processors connect with other rooms in the building through direct dialing or an audio bridge. All inputs run through AudiaFLEX, Biamp’s digital audio platform, and feed into 30 of its AudiaFUSION networked amplified processors, which route any source to speakers in any area. With AVI-SPL & Biamp Networked Media Systems, remote systems are combined into a single network that shares processing power and resources. Installations are faster, upgrades are easier and jobs are more proﬁtable. The days of multiple, isolated systems and miles of cable are gone. Decentralized processing is the key to networked media systems: You can create multiple independent systems tailored to its location. Biamp audio systems allow you to run a more efficient system designed for your specific needs.